ARE YOU AS EXCITED FOR WINTER AS WE ARE? The first snow has landed on top of the mountains and the temperatures are dropping rapidly during the nights. On Saturday the last cows come down from their mountain residences and some will be sold to new homes on the big market here in Engelberg. If you are in the neighbourhood you can have a look and maybe bring a cow home? The market is just outside the sporting park. This really sets an end to summer. Now all we need is clouds and rain for some days and then everything is going to get white over 1800 meters. (Trübsee) In the valley it is still going to be snow free for another month. 13th October – Glacier 3020m Open for Skiing, earliest date. 8th November – Stand 2200m to Trübsee 1800m open for skiing. 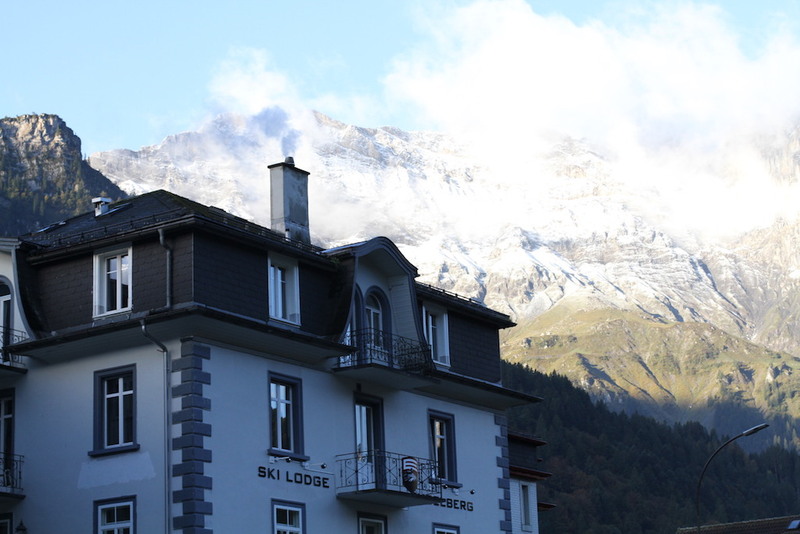 5-16 November 2018 – Glacier Closed for Maintenance. 12th November – 7th December – Brunni opens on weekends for skiing if the sun keeps a low profile. Between 3rd-12th December – Jochpass 2222m Open for Skiing. 3rd January – Early bird morning skiing starts. Snow condition: Rocky, might need to use old skis.